Browhaus Covent Garden – An Eye Opener! Stylish, comfortable and ever so comfortable, Luxe Bible has stayed in many a Pullman Hotel whilst jetting around the world. From Barcelona to Bangkok, here’s 4 of the best. 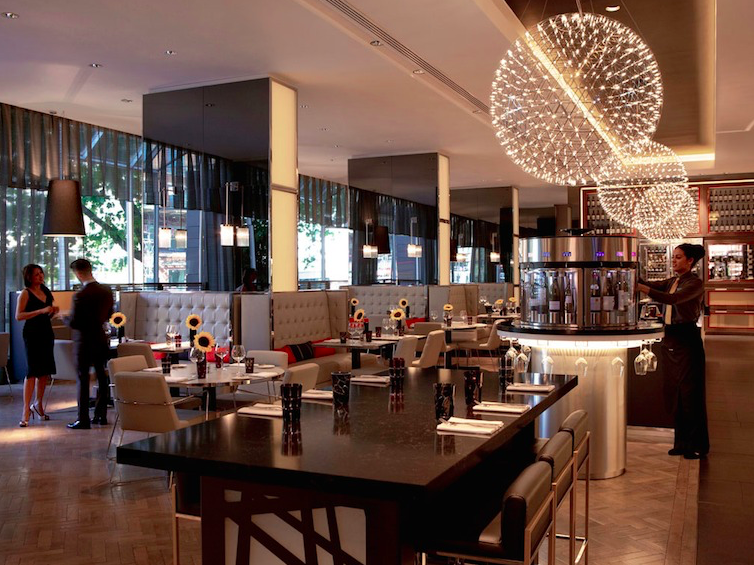 The Pullman London St. Pancras is immediately impressive with its huge open plan lobby – a seamless transition between working, lounge and bar areas in one fluid space brought together under a glistening dandelion chandelier centre piece. The Golden Arrow Restaurant boasts an entire wine library, European menu and open theatre style kitchen with a unique Josper grill, while the bar has an impressive 200 strong whisky collection – perfect for a night cap or late business meeting! Masculine styled rooms have a moody, modern colour scheme complete with all mod cons and ample sized desk space – great for working away, while the practical black slate and brick red bathrooms come complete with rainfall showers and complimentary toiletries. 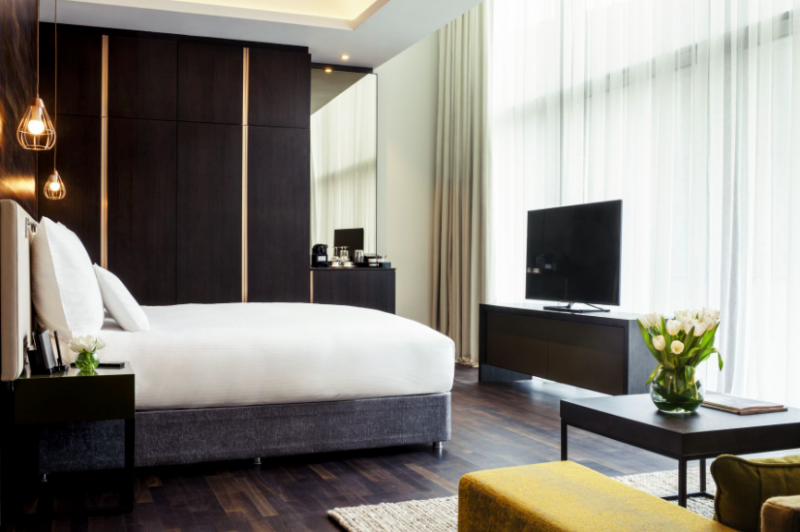 While the hotel retains an artsy vibe, and of course, is in a fantastic location, Pullman London St. Pancras is a hotel that has it all, whether you’re a business or leisure traveller. 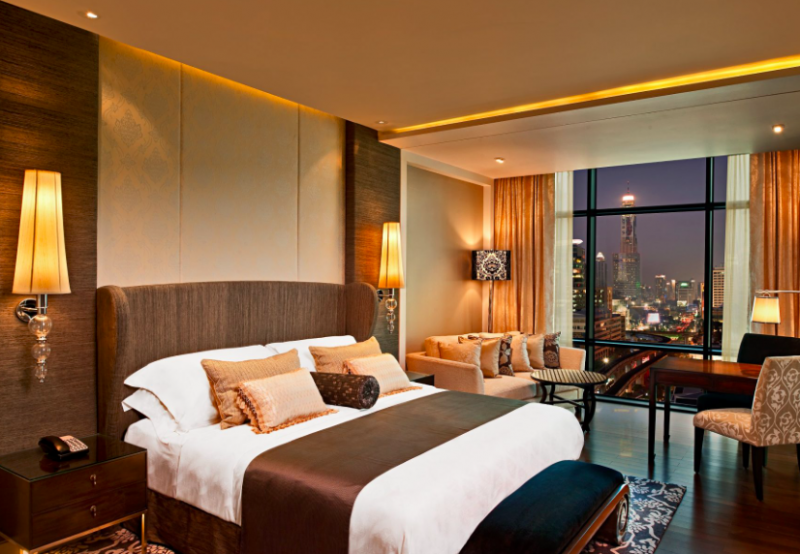 A luxury 5 star experience awaits at the Pullman Bangkok Grande as you’re whisked up to the Executive Lounge on the 24th floor for a glass of bubbles while you’re checked in. 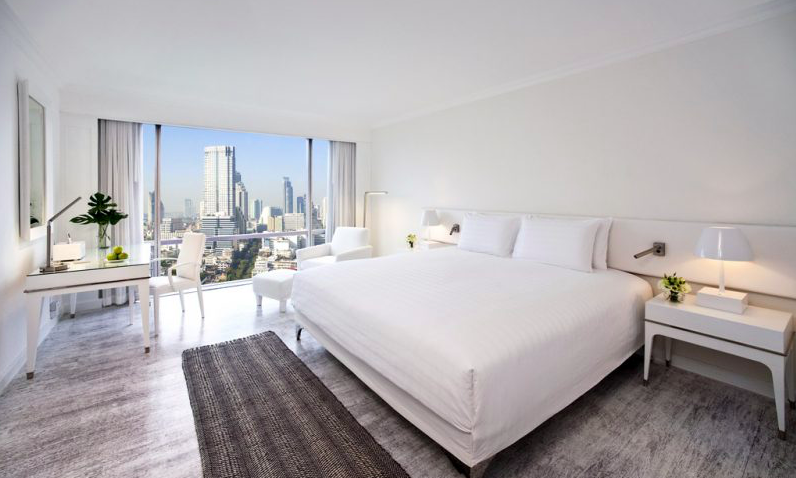 Fluid open plan rooms with a glass bathroom (and optional blinds should you want them), make these rooms really stand out and the views out across Bangkok are magnificent. A full pillow menu, luxury bedding and an additional lounge and seating area make the Pullman Bangkok’s rooms that little bit more comfortable, while the swimming pool outside is perfect for catching the rays in the middle of a city mainly shaded by the other tall buildings around it. The gym is particularly impressive – it’s extremely spacious and benefits from floor to ceiling glass which definitely helps occupy the mind while burning the calories! There’s so many dining options at the Pullman Bangkok Grande that you don’t need to leave! Take full advantage of the Tapas Vino restaurant offering delicious tapas sharer plates and an abundance of wines by the glass and bottle from their hanging wall cellar. Other dining options include The Scarlett Bar & Restaurant on the rooftop boasting French cuisine and unrivalled views across the Chaopraya River and 25 Degrees Burger, Wine & Liquor Bar is Bangkok’s only 24 hour burger restaurant. The Mistral Restaurant serves up an exceptional breakfast with stations for everything from waffles, to smoothies to curry. 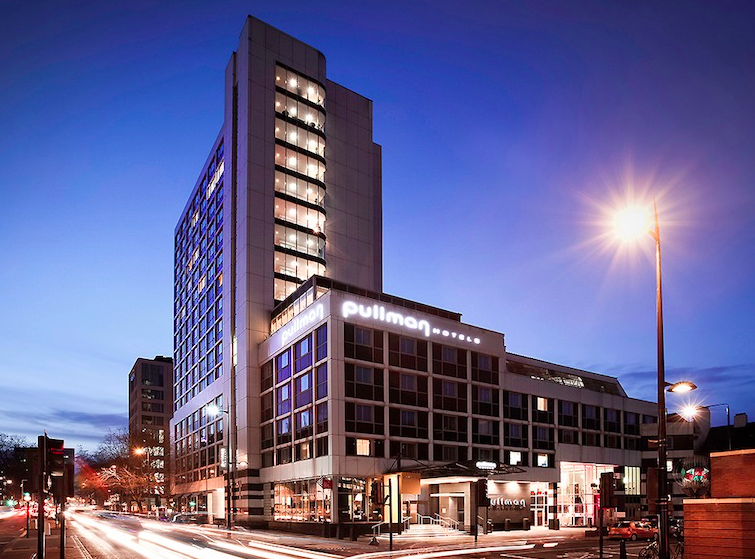 The 4 star Pullman Liverpool Monarch Quay takes pride of place in the one of the UK’s most cosmopolitan cities just moments away from the Wheel of Liverpool by the waterfront. With a super cool reception area with iPad check in via cosy booths, the rooms themselves are beautiful and functional – many with floor to ceiling windows to let in plenty of natural light, along with an ultra stylish design, and all mod cons. Dukes Restaurant is equally as stunning as a destination brasserie offering classic British cuisine and beautifully presented dishes. 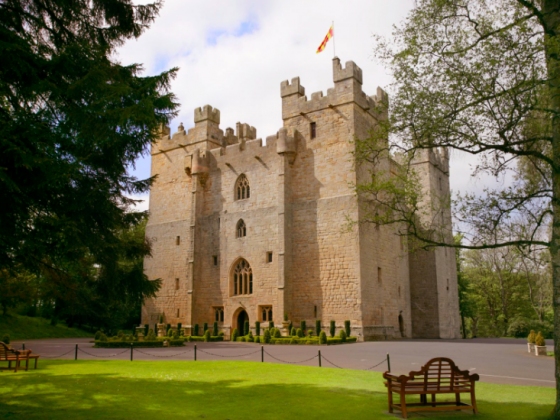 From fresh scallops to lamb and fluffy roast potatoes, the seasonal menu is executed brilliantly. The restaurant area also offers the Vinoteca system allowing you to load a card with credit so you can pour your own glasses of wine from the diverse range they have on tap. 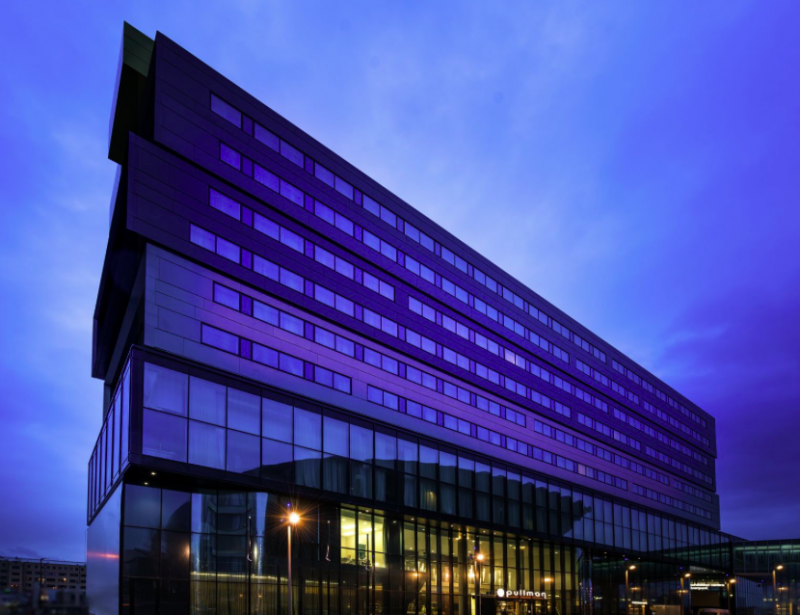 If you’re visiting the Liverpool Arena & Convention Centre and the Exhibition Centre Liverpool, then this is the perfect hotel. 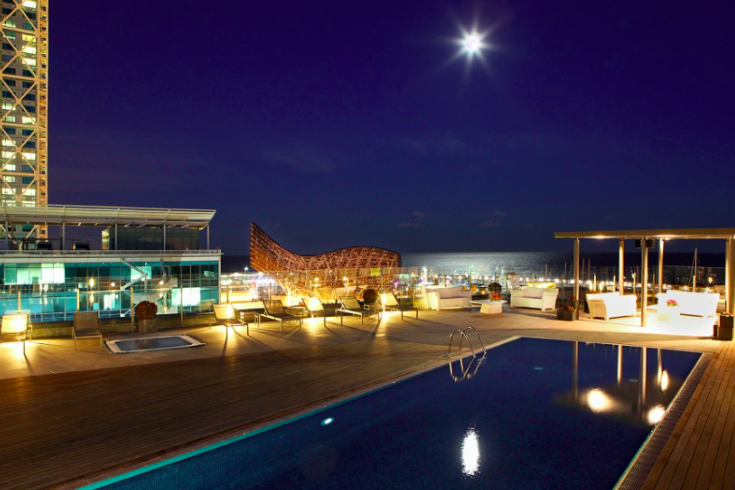 The Pullman Barcelona Skipper in Port Olimpic is in an enviable location right on the beach surrounded by bars, clubs and restaurants. With a wonderful contemporary feel and the Pullman’s signature floor to ceiling glass and abundance of light, reception is divided up into a comfy seating area while also hosting the Blend Lounge and Bar – perfect for casual dining throughout the day, or a drink in the evening. With rooms ranging from classic to deluxe, there’s also junior suites for extra space, although the classic rooms are still spacious with large concealed cupboards for a sleek finish. An oversized bath and rainfall shower make the Pullman Barcelona Skipper a particularly comfy stay. The Syrah restaurant is open for breakfast between 7am and 10.30am and is well worth adding onto your package if your room doesn’t come with dining options included. 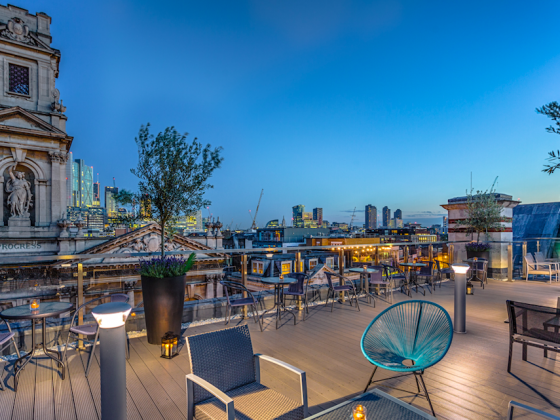 With a downstairs unheated pool on the terrace for those scorching days, there’s also an impressive heated rooftop pool along with the Attic Bar terrace which is definitely worth checking out – serving food and drinks here throughout the summer months, there’s also a jacuzzi and 24 hour gym. By checking this box, you agree to receive Luxe Bible offers, promotions, and other commercial messages. You may unsubscribe at any time.